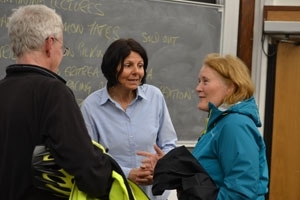 The audience at last night’s Wilderness Lecture in Bristol were treated to a very special evening when Gerlinde Kaltenbrunner delivered the annual ‘Ginette Harrison Memorial Lecture’. Due to demand we are adding new departures of two of our most popular group holidays in Uzbekistan and Norway. In 2009 a group of celebrities led by Gary Barlow climbed Mount Kilimanjaro in Tanzania and raised an incredible £3.5 million for Comic Relief. A decade later and the big Red Nose Climb is on again. 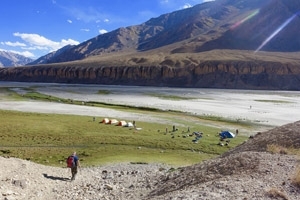 Last year Sue Lawty successfully led our Wild Zanskar trek in this remote and fabled region of the Indian Himalaya. Accomplished artist, as well as experienced trek leader and adventurer, Sue will be presenting tales and images from her experiences in Zanskar at the Destinations Travel Show in London at the end of the month. Our 2019 brochure is available now. It contains an incredible 150 holidays across 49 countries. We have introduced 31 new small group holidays and seven new destinations: Costa Rica, Reunion Island, Croatia, Georgia, Romania, Bulgaria and Zimbabwe. Mountain Kingdoms visits Puzzlewood - Vote for your favourite image! 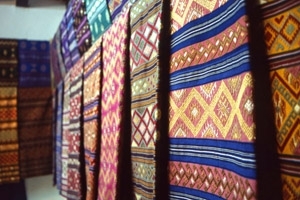 Vote for your favourite image! This week the Mountain Kingdoms team ventured out of the office on their Summer Away Day. 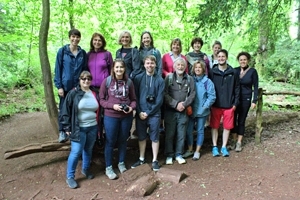 Accompanied by professional photographer, David Broadbent, we visited mystical Puzzlewood, an ancient woodland site in the Forest of Dean. David showed us how to make the most of our cameras and how to capture unique and creative images. After 16 years of leading cultural tours in Bhutan for Mountain Kingdoms, we are sad to say that Michael Rutland is finally taking a well-earned rest and retiring from the role. 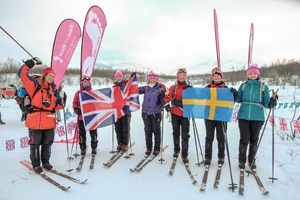 At the end of last month our ever adventurous Reservations Manager, Seraphina, completed an Arctic marathon on skis to help raise thousands of pounds for a breast cancer charity. Here she is at the end of the epic challenge (pictured centre in a purple jacket).